I'm growing more and more frustrated with the visualizations that are picked for Tableau's Viz of the Day. Why? Because I know from asking people that they assume Viz of the Day represents examples of best practices because Tableau promotes them. And I'm noticing more and more that there are fundamental visualization best practices being broken. Consider this Viz of the Day from January 28, 2015. What is incredibly ironic is that I saw this literally minutes after having talked about color blindness in a data viz class I was teaching. In the room was a colleague of mine, who is red-green color blind. I showed it to him and said "What do you see?" to which he responded "A bunch of brown dots." Now can you understand why I'm getting so upset? Who picks VotD after all? Why aren't best practices part of the criteria? Does anyone know the criteria? Is there a criteria? I downloaded the workbook and made a few simple adjustments to it. Here's my version after about 15 minutes of TLC. I focused on color, sorting, tooltips and filtering. Don't get me wrong; It's a huge honor to get chosen for VotD. I know I get excited every time one of my vizzes is chosen. But what I really want, and I think there are lots of other people with me, is for VotD to be an amazing gallery that everyone recognizes as the most outstanding work done with Tableau. Work that's designed well. Work that's visually appealing. Work that follows best practices. Work you'd want to emulate. 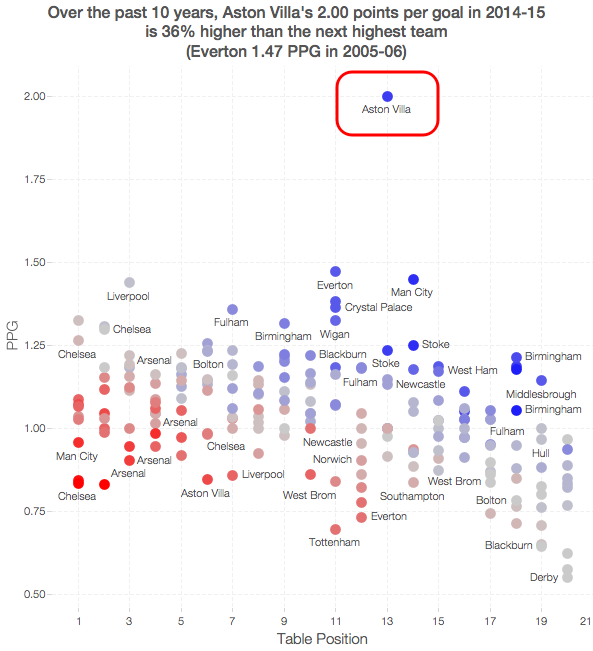 With the visibility that the Viz of the Day gallery has, am I asking for too much? If I am, please tell me. Explain to me why I'm off base. If you're in agreement with me, let your voice be heard. His data is not as of today. When he uses a relative date filter, he doesn't get the expected number of days in the view. Here's a video of the problem and the solution, which uses a combination of a set and a parameter. The detailed steps are below the video. 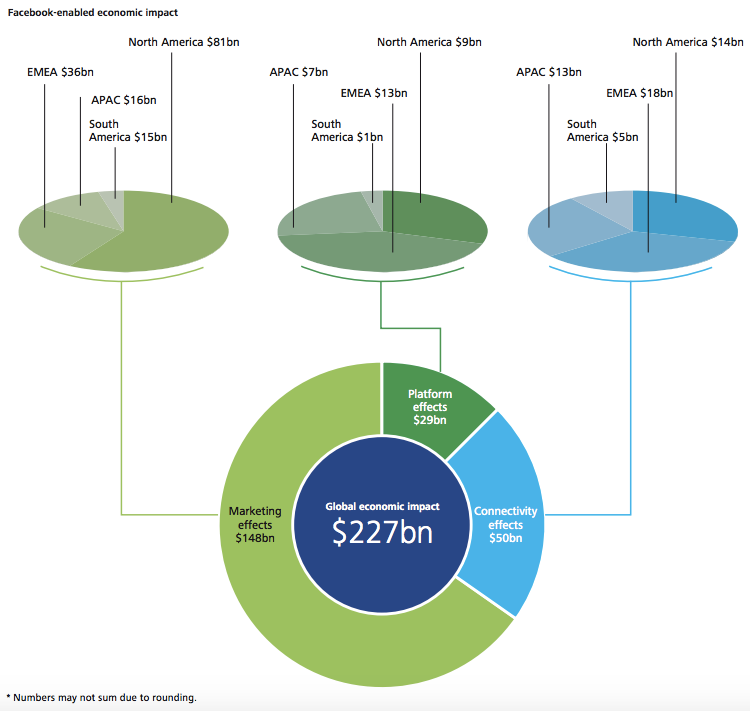 Last week on Facebook, I saw a link to this report by Deloitte. 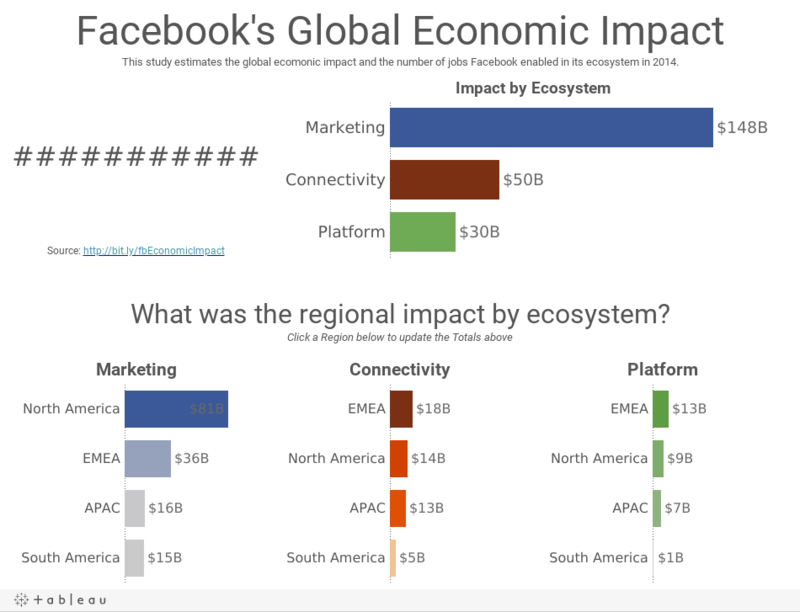 From what I can gather, Facebook commissioned Deloitte to estimate Facebook's impact on the economy. Read the report for more details. Using a donut chart to represent parts-to-whole is a bad idea. Read this post by Steve Wexler for a good explanation on why you shouldn't use donut charts. There's an implicit hierarchy from the ecosystem to the breakdown of each ecosystem, yet this view goes in the opposite direction by having the regional breakdown above the totals. The pie charts, while not 3D are slanted, which distorts their proportions. Pie charts are not the best way to compare proportions. The title is super small. Looking at this as a stand-alone graphic, it's difficult to understand what the purpose of the graphic is in the first place. 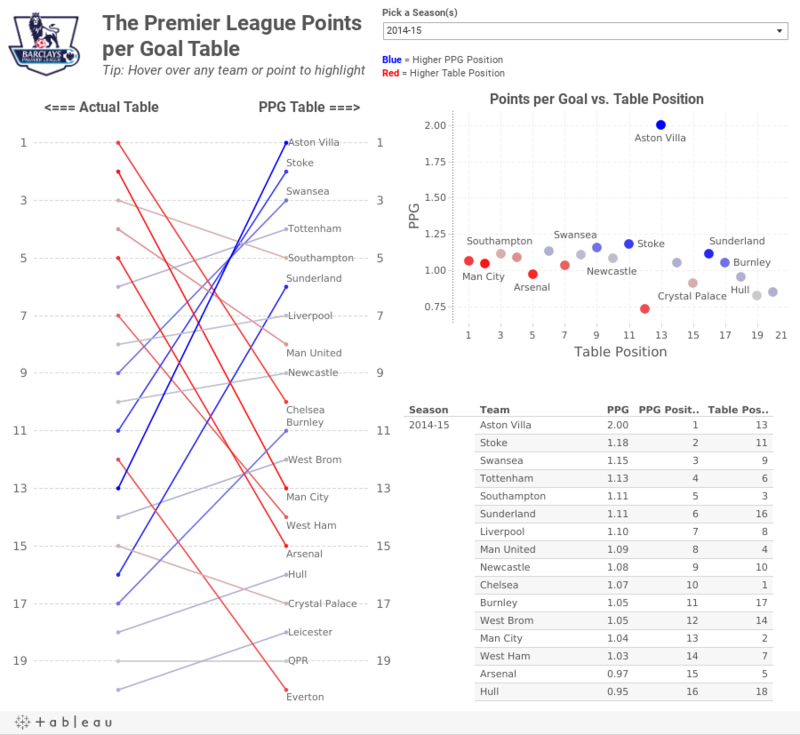 I recreated the data in Excel (get it here) and created this dashboard in Tableau (get the workbook here). In this version, I attempted to address the concerns I outlined above by basically changing everything to bar charts and rearranging the view. Does this work better? Note that I added some interactivity as well. 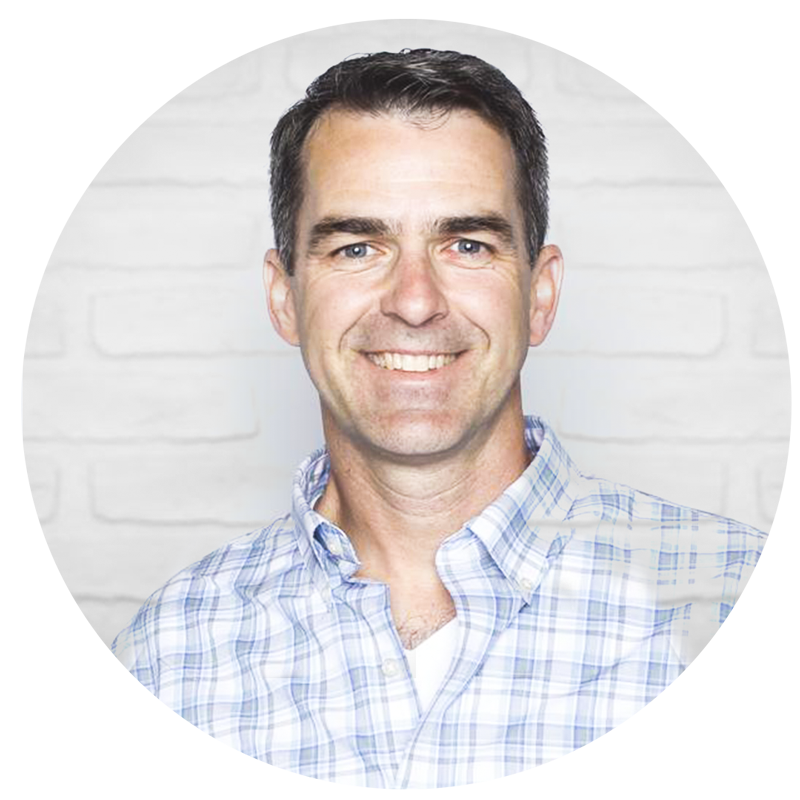 I read this post from Ethos3 about their company core values and culture. As I was reading through them, I thought this matched nearly exactly with the values and culture of the Tableau Community. I've made some minor tweaks to their values to be more in line with the Tableau Community. Focus On Yourself First: If you develop yourself, then everything will change around you. Pursue Growth And Learning: Always continue to learn and grow. 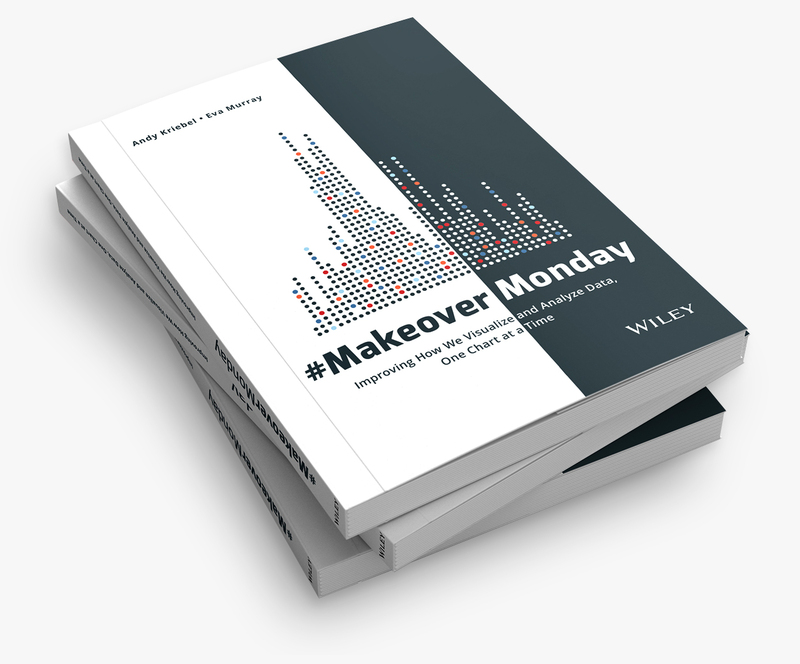 Read as many books and create as many visualizations as possible. Do More: Never settle for mediocrity. Develop A Magnificent Obsession for Everything and Everyone: Be passionate about everything and everyone you touch. Do The Ordinary Extraordinarily Well: Create WOW experiences by doing ordinary things in ways no one will ever expect. Be Humble: Understand that there’s always someone who can do what you do better, faster and cheaper. Live Uniquely: Be yourself. Find your authentic voice. Share your voice. Commit: As Yoda would say, "Do or do not. There is no try." No wishing or trying allowed. Period. Commit to every task. Embrace and Drive Change: Look for opportunities to change and improve yourself, your company, and the Community. Empower Others: The Pledge of Allegiance starts with “I” and ends with “We.” You can’t do everything by yourself. What do you think? I know these values are pretty much what got me where I am today. How about you? This is the first of what will hopefully become a weekly series (or thereabouts) of Tableau video tips. These will primarily be video-based tips from blog posts I had previously written. 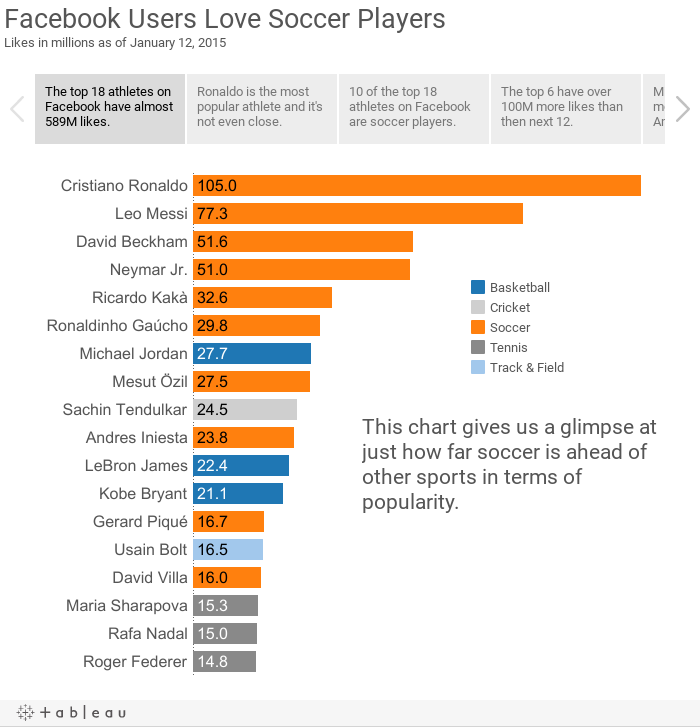 Today's tip shows you how to create two different types of slopegraphs in Tableau. Download the workbook used to create this video here. It's incredibly annoying to have to turn my head sideways to read the chart. The chart is in ascending order, yet the story emphasizes the descending order. The colors aren't distinct enough from each other for me. For example, the colors for Track & Field and Cricket and too similar. 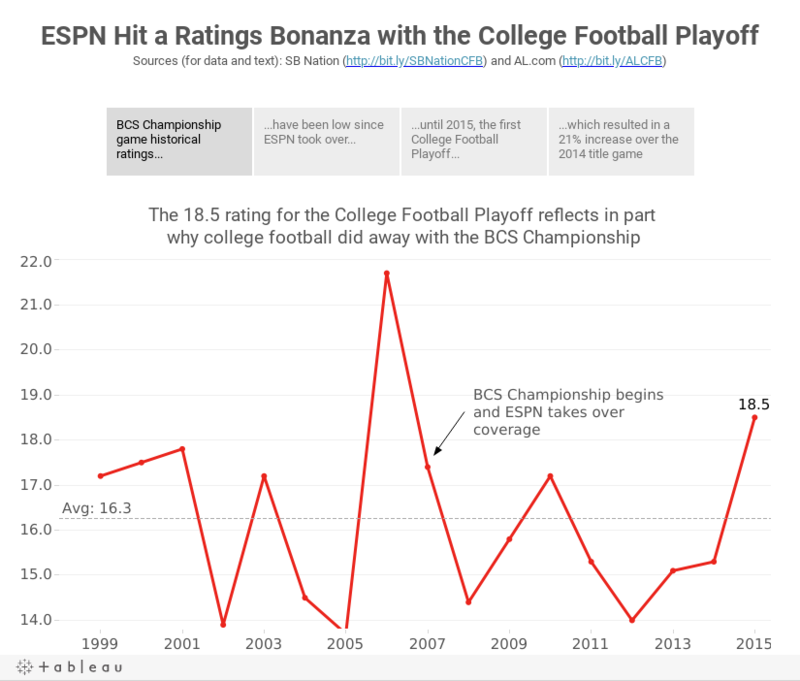 The chart, on it's own, doesn't capture the entire story that's in the article. 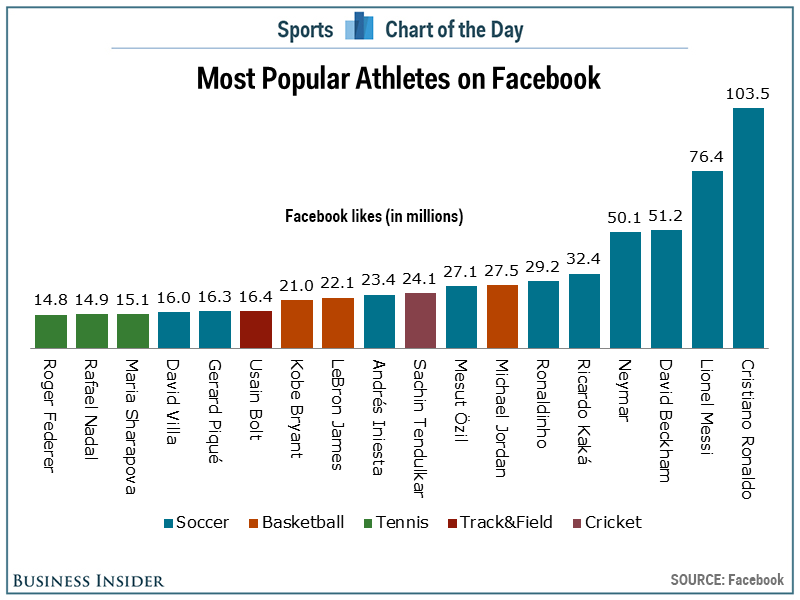 With these problems in mind, I went to the Facebook page for each athlete and noted their likes. 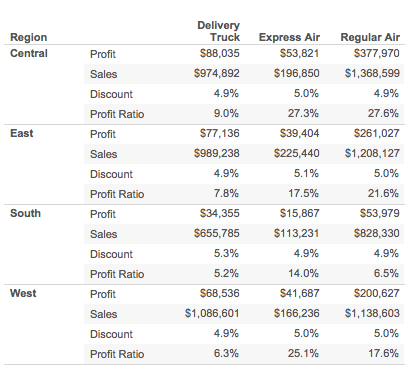 I then decided to use Tableau's Story Points feature. As Tableau says "Story Points gives the author the ability to present a narrative. As part of that narrative, the author can highlight certain insights and provide additional context." You can download the data here and the workbook here. 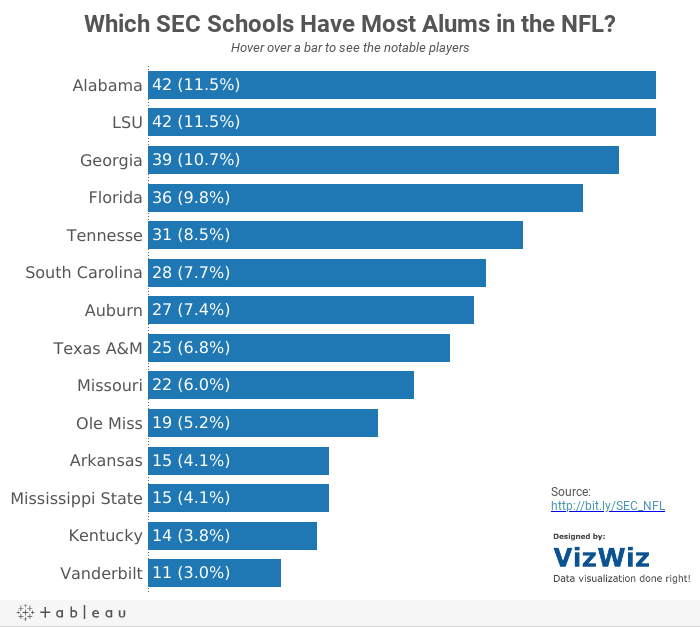 Makeover Monday: Which SEC Schools Have Most Alums in the NFL? 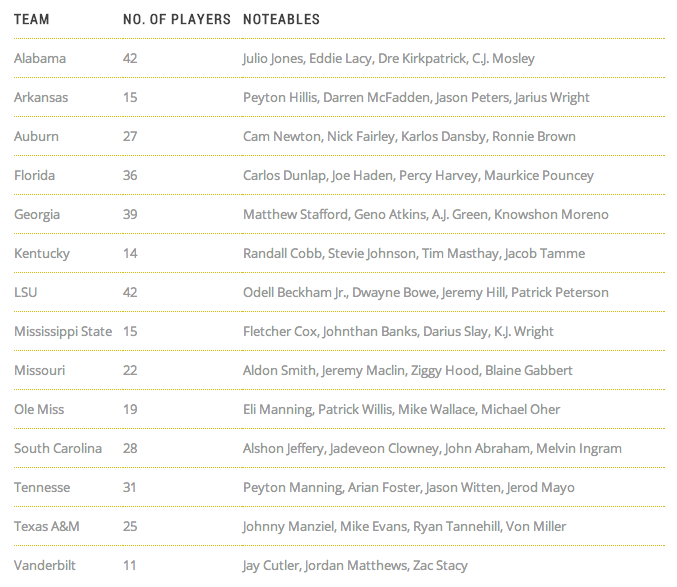 Last week, Saturday Down South posted this table, which shows the number of players over the last decade from each SEC college football team that played in the NFL. Current stars are noted. Simple enough, yet so annoying that they aren't sorted in descending order, though it is true that an alphabetical sort is faster for finding a team. Magnitude is also more difficult than necessary to understand in a table. With a few simple clicks, I created this interactive version in Tableau. On my version, the bars are ranked and I included the % of total SEC players in the NFL for each team to give the numbers more context. 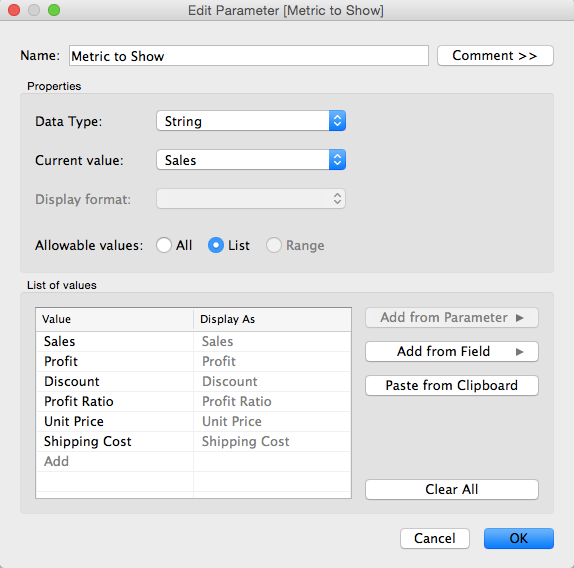 As a follow up to yesterday's blog post about "One Metric; Two Number Formats", Tableau Zen Master Joe Mako left a suggestion that I'm going to write about today that utilizes the Labels shelf. This method allows you to have as many different number formats as you desire, whereas my previous post only allowed two (and frankly, its use case it pretty limited). Step 1: Create a parameter that is a list of metrics. Step 2: Create a calculated field that returns the value of the metric selected. You have four metrics you want a user to be able to choose from. Two of them are in number format (Sales & Profit) and two are in percentage format (Discount & Profit Ratio). You only want to use a single metric. 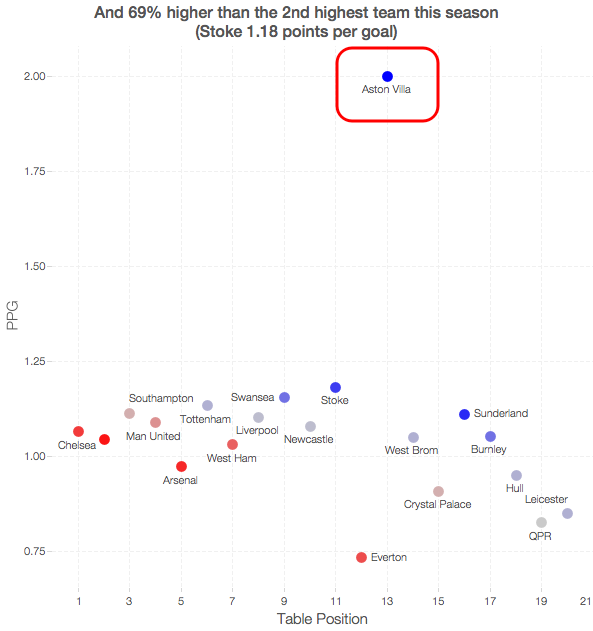 I quickly threw this into infogr.am and change it to a bar chart of the top 5. If infogr.am allowed it, I would also remove the column divider line and remove the axis.